A piano is an expensive investment. For most of us, the piano is the signature piece of any room – a focal point, one that draws visitor’s attention and that features both an aesthetic and functional appeal. Moving a piano is a delicate operation – one that should only be attempted by fully-trained and experienced moving professionals. For those in need of piano removal services in London, they need only consider Pers Removals. Pianos are heavy, bulky and very difficult to move, especially up and down flights of stairs. When presented with the challenge of moving such a musical instrument, it’s paramount that a plan of action is devised. This is where we can assist you. We will devise such a plan. Our experience has seen us move pianos for a wealth of clients across London. The first stage to a successful move is to plan the process from start to finish. Why Hire Professional Piano Removal Experts? 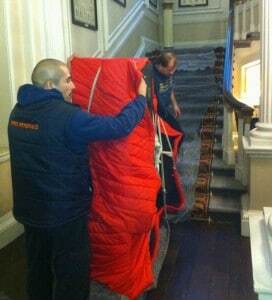 Simply out, a professional piano removal service such as ours will allow you to transport the instrument efficiently. We ensure that there is no danger of such a delicate and valuable belonging becoming damaged, and that the process of moving the piano doesn’t damage the surrounding environment either. 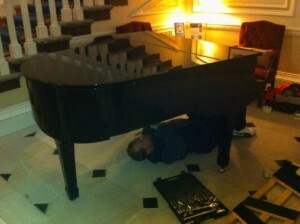 Just as every property is different so is the process for moving a piano. Before attempting the first stages of transporting the piano, it’s important to understand the environment, and map out a route. Once this has been decided, we put the plan into action by safely transporting your piano from one property to another. To find out more information about our piano removal services across London, or if you’d like to contact us to see how we can assist you, get in contact with us today.